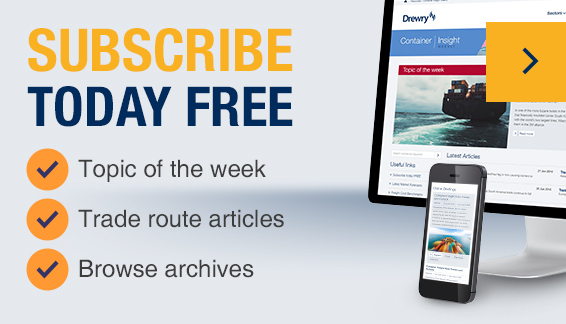 Subrata is part of Drewry’s Ports & Containers team and manages the core areas of research. He has more than 12 years of experience in the field of international trade and transportation. Subrata joined Drewry in 2009 as a Research Analyst in Dry Bulk team. Before joining Drewry, he was a Research Fellow at India’s premier research and management institute for international trade – Indian Institute of Foreign Trade (IIFT). During his tenure in IIFT, he was part of many advisory assignments and worked in close relation with the Indian Ministry of Commerce on a detailed study of major ‘Free Trade Agreements’ (FTAs), and was also involved in developing a portal on India’s import policy. He has a number of research publications to his credit, besides his doctoral thesis. He has also worked in various projects funded by inter-governmental organisations. After working in Drewry’s Dry Bulk and Tanker divisions, Subrata joined the Ports & Containers research team in 2012. He contributes to various research publications on a regular basis, and also works on advisory assignments. His typical advisory work includes demand forecast, many IPO studies and river-based container ports study among others. He holds a Ph.D in South Asian Studies from School of International Studies – Jawaharlal Nehru University, New Delhi. He holds a Master’s degree in International Relations from the same university.